This stamp is ideal for young children or children with additional support needs whose fine motor skills are affected and have trouble writing. You can customise the stamp with the child's name which will be created as a dotted line. The children can stamp their name and then trace the dots which can help them learn how to write their name. To customise, simply enter the name in the filed to the right and we will create a dotted name stamp for you. 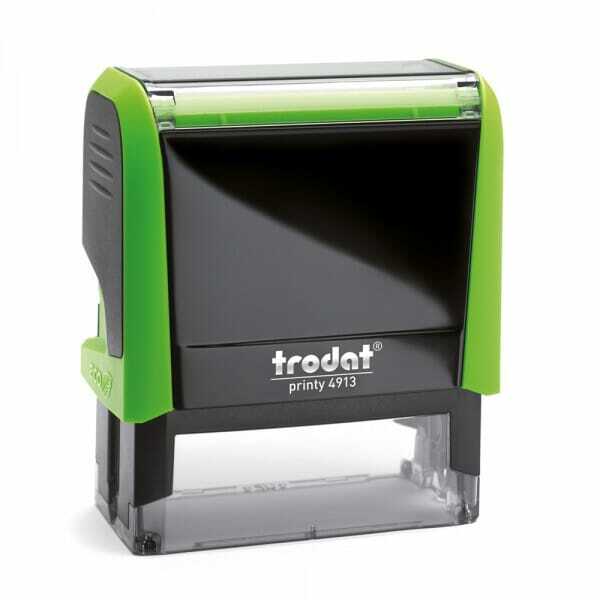 The stamp is Trodat's Printy 4913 which stamps a clear image every time on a maximum area of 57 x 21 mm. It's a self-inking stamp which means that the ink pad is built-in and no separate ink pad is required. Your stamp will last a lifetime as the ink pads can be replaced once they run out, Replacement ink pads are available under the code 6/4913. Customer evaluation for "Join-The-Dots Stamp"